Are you ready to go on a galactic journey to explore the bright stars in the sky? QuickSpin latest video slot – Ticket to the Stars will take you on a fantastic journey like no other on a space-age cruise aboard the moon of Mars. Cross the solar system in style and get on board this fantastic ride to explore the universe with your host pilot, air hostess and robot which will make you trip great, full of surprises and game features to trigger while spinning those reels. 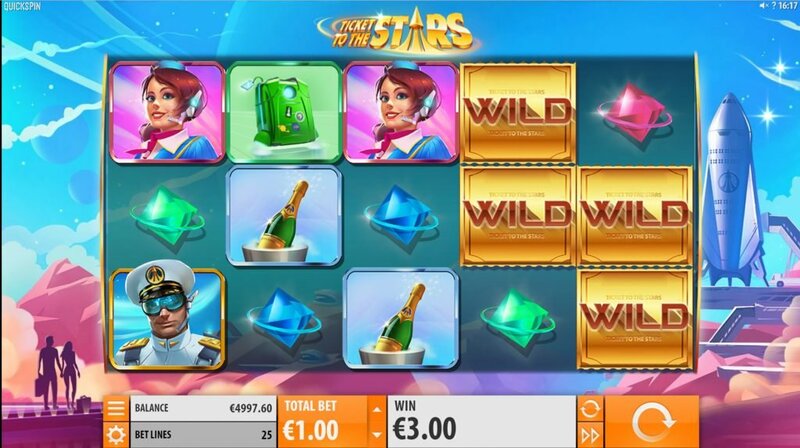 Ticket to the Stars is a 5 reel, 3 rows and 25 fixed paying lines video slot with a potential highest coinciding win of 9,714.2 times your bet amount! 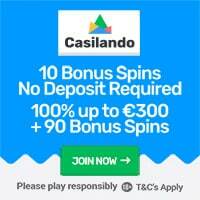 Players can choose to play from a minimum bet of 0.25 up to €100 or equivalent. 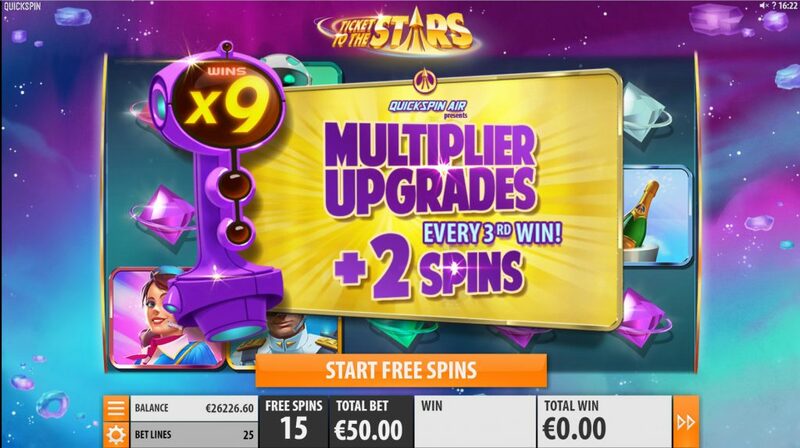 Some of the game features available in Ticket to the Stars video slot are Unlimited Multiplier Meter, Swooping Reels and Free Spin Bonus Rounds. Ti Trigger the Free Spins Bonus Round, players have to collect 3 or more bonus symbols. During the Free Spin Bonus Round the Unlimited Multiplier Meter will increase after every third win and can increase the multiplier meter to an unlimited amount and add 2 extra spins to your free spin rounds – As they say the sky is the limit, in this case the universe have no limit! Any winning during Base Game and the Free Spins Bonus can be activated Swooping Reels. Any symbols, that is part of a winning line will explode and more symbols tumbling down from above to replace the previous one (similar to the Avalanche Reel Style in Gonzo’s Quest). Any new wins will be added to the existing win, this feature ends when there are no more winning combinations. Stacked Wilds can also grand you an epic win and are available in both Base Game and Free Spin Bonus Rounds. There are 6 high paying symbols, being the Pilot, Air Hostess, Robot, Champagne Bottle and a Space Life Jacket and 5 low paying symbols which are the colourful gems. The theoretical payout percentage of Ticket to the Stars video slot is set to 96.52%. Ticket to the Stars will be released by QuickSpin on the 12th of February 2019! So get ready and set to pack your bags and get on board this luxury trip for a journey like no other! Featured: Get 5 No Deposit Spins – No Wagering Requirements! 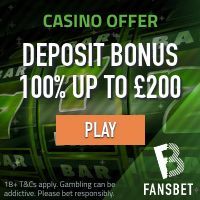 « Get a £20 Risk Free Bet at FansBet!